Jeremy Clarkson is arguably the most influential and controversial automotive journalist in the world. Among numerous provocative and questionable statements the Brit has made over the years, he continuously asserted that nobody can consider themselves a true petrolhead before owning an Alfa Romeo. 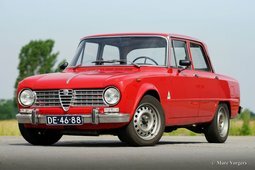 If that’s true, which Alfa should one go with? The 164, a Pininfarina-penned executive saloon with a sonorous Busso V6 is definitely an option. If it’s wind in your hair you fancy, there are multiple iterations of the Spider to choose from. 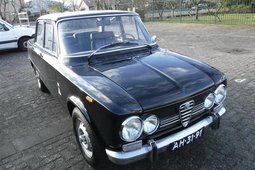 Both are great cars, but today we’d like to pitch you another Alfa which makes a strong case for itself – the Giulia GT. 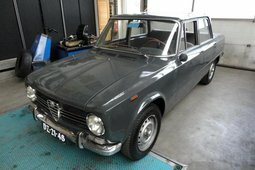 Why Giulia GT? 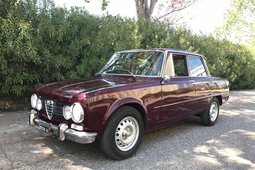 Hardly any other car is so quintessentially Alfa, combining engaging chassis, revvy little engine and design that looks great from every angle. You may disagree with me, but the Giugiaro designed dual headlight front of Giulia GT is the best looking automotive fascia in history. Pretty looks don’t mean the car is lacking other virtues, even back in 1963, all GTs came with dual cam engines, four wheel disc brakes and five speed transmissions. 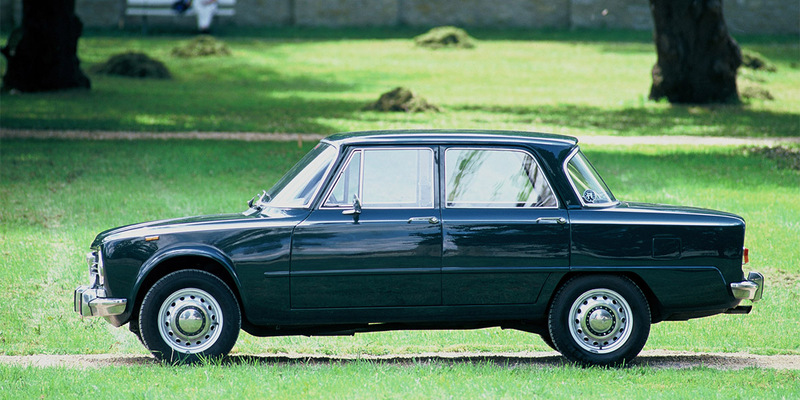 It would be rude to ask more from the petite RWD coupe based on the regular Giulia saloon. 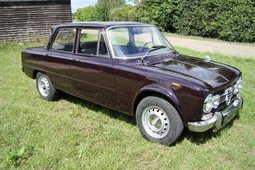 Initially, a Giulia Sprint GT was offered, sporting a 1600 cc inline four with 105 bhp. That’s sufficient for most intents and purposes as the little coupe weighs less than a ton. Pretty soon, Sprint GT outpaced all other Giulias in terms of popularity. 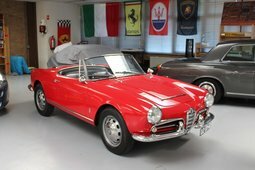 With this newfound success, Alfa began extending the offerings in the GT range. 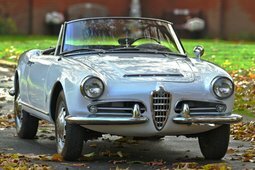 Over the course of production, Giulia GTs came with a host of variations of the same Nord 4-banger, ranging from 1.3 to 2.0-liters. Smaller capacity models, adorably badged as Junior, were more affordable to buy and run. On the other end of the spectrum were the Veloce models, packing either a 1.8-liter (1750 GTV) or 2.0-liter (2000 GTV) motors. The 2000 GT Veloce could even be specified with a limited slip differential, providing skidding opportunities. But that was definitely not the most skid-prone version of Alfa Romeo Giulia. Alfa Romeo decided to put the capable chassis to use in motorsport setting. 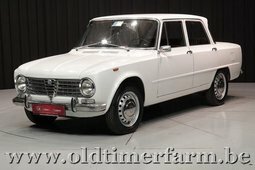 Autodelta, Alfa’s racing division built a Giulia Sprint GTA, the A standing for "Alleggerita" (“lightened” in Italian). Later the GTA 1300 Junior was introduced to compete in the sub-1300cc class. Mind you, the Alleggerita addition was not just a meaningless marketing term, Autodelta went to great lengths to justify it. GTAs featured lightweight alloy body panels, stripped out interiors, Perspex windows, magnesium wheels and, in some cases, even hollow drive shafts and gearbox components. Consequently, they shed almost 200kg from the already lightweight car. To aid the dynamics even more, GTA engines featured Webber carbs, high-flow heads with performance camshafts and twin-spark ignition. Best part of all? Alfa Romeo sold these highly modified coupes for both track duty (Corsa) and street use (Stradale). Just imagine getting groceries or taking your kids to school in an Italian touring car. 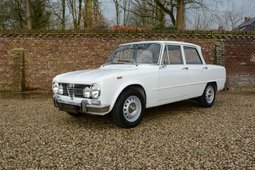 Giulia GT was produced for 14 years, up until 1977 with minor alterations. As a result, there are quite a few of them to pick from, but they are appreciated by driving enthusiasts and collectors alike. Thus, one must expect to pay at least EUR 30,000 for a clean GT and up to ten times the amount for a genuine GTA.